Ed Boon discusses classic remakes of The Grid, MKII, and more at GDC. In what will no doubt go down as one of the finest moments in gaming press; NetherRealm Studios head Ed Boon appeared live on the Giant Bomb stream for the final day of the 2014 Game Developers Conference (GDC). The appearance capped off a mammoth five hours of streaming, now available archived on Twitch.tv [embedded below]. Boon appeared opposite what was left of Midway alums: David Lang (Iron Galaxy Studios CEO), John Vignocchi (Disney Interactive Executive Producer), and regular Giant Bomb host Jeff Gerstmann. Though only briefly featured; Boon was able to share a few nuggets of general interest. Most prominent among them: an off-shoot reference to the now defunct Mortal Kombat HD Kollection, with specific focus on a remade Mortal Kombat II. There was no discussion regarding the recent news of Kiefer Sutherland working on an unspecified Mortal Kombat title [full story]. The Grid: a modernized update subject of inside jokes and mildly registered interest. No plans for a sequel proper. Indie fighting games like Divekick and Samurai Gunn only make the genre more interesting. Notes limited number of fighting game developers and expanding the market. Looking forward to Ultra Street Fighter IV. Guilty Gear and Divekick: interesting alternative fighters. Predicts a future Capcom fighter (Street Fighter, Marvel vs Capcom) will explore similar story mode to Mortal Kombat and Injustice: Gods Among Us. Has discussed a traditional, sprite based Mortal Kombat II "Director's Cut" in the past. May have included embellishments taken from popular arcade myths. Profane objection to invitation to drunken split screen pantomime. The scrapped HD remake was ultimately supplanted by Mortal Kombat: Arcade Kollection; released August, 2011. Do you still carry a flame for a digitized, HD sprite remake? Share your wildest thoughts on the forums! A directors cut of, MKII would be interesting! As long as they fix everything wrong with MK2. So the mk hd is actually gunna be released now??? ... Am I dreaming ?? <div class="forumQuote"><b>seanay Wrote:</b><br/>Am I dreaming ? ?</div> <br/>Yes. Let Mortal Kombat "trolling" Begin!!! Fast-forward to <strong>05:01:20</strong> to watch Ed Boon (the guy with a golden watch) sitting in the sofa. Fast-forward to 05:01:20 to watch Ed Boon (the guy with a golden watch) sitting in the sofa. The cancellation of the HD remake was a huge slap in the face to MK fans. 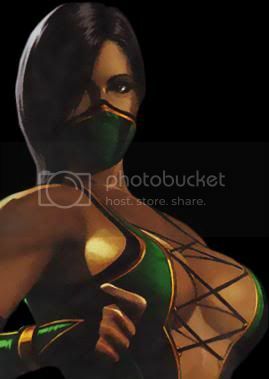 <br/> <br/>If they remake MK2 in HD I expect all hiddens to have their own moves and bio/ending. Itd be nice to see scrapped characters as well and the inclusion of kano and sonya. 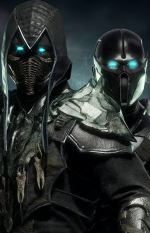 <br/> <br/>and if id really want my dreams to come true make the background characters (Masked Guard, Shaolin Monk, Shadow Priest) come to life... especially the living forest guy as seen below: <br/> <br/><IMG SRC=" http://blacksaibot.host-ed.me/users/sz/vault2/Fake19_LivingForestGardener.png "> <br/> <br/>....and of course skarlet!!!! The cancellation of the HD remake was a huge slap in the face to MK fans. If they remake MK2 in HD I expect all hiddens to have their own moves and bio/ending. Itd be nice to see scrapped characters as well and the inclusion of kano and sonya. MKII is my all-time classic favourite, so bring that Director's Cut or Special version or whatever to life!! ..and yeah please give us that HD collection, that would be really Really nice!! Im sooo interested on it that Im going to buy MK1, MK2, MK3 and MK4 HD arcade and director cut versions! <br/> <br/>Imagine each classic game with 2 modes. Arcade version and Director cut version! <br/> <br/>Director cut version also can have some updates, MK2 players can run and make kombos damn i will love to buy this. <br/> <br/>Also the new business format, you can buy the mode you want! Arcade, Director cut or updated version. I buy alllll. Im sooo interested on it that Im going to buy MK1, MK2, MK3 and MK4 HD arcade and director cut versions! Imagine each classic game with 2 modes. Arcade version and Director cut version! Director cut version also can have some updates, MK2 players can run and make kombos damn i will love to buy this. Also the new business format, you can buy the mode you want! Arcade, Director cut or updated version. I buy alllll. I am all for having MK2 remade so long as it's in the st<i></i>yle Street Fighter HD Remix. There's honestly no point remaking MK2 if you're not going to add new mechanics. I won't say the game's not currently competitive, cause it definitely is, but the the first two games just aren't fun or deep enough for modern gamers. They're too restrictive for casual players, and if there are footsies in MK2, they're simplistic to a fault. Who's going to bother learning MK2's incredibly shallow footsie game in the modern era? I mean, props to Shock and James MK2 at all, but yeah, I'm not interested as it stands. <br/> <br/>However, if you added a dash mechanic and contemporary properties to normal moves, the game would be something to marvel at. Even if the game was unbalanced, the low-tier characters could carry themselves on fundamentals, which is kinda impossible as the game is now. I am all for having MK2 remade so long as it's in the style Street Fighter HD Remix. There's honestly no point remaking MK2 if you're not going to add new mechanics. I won't say the game's not currently competitive, cause it definitely is, but the the first two games just aren't fun or deep enough for modern gamers. They're too restrictive for casual players, and if there are footsies in MK2, they're simplistic to a fault. Who's going to bother learning MK2's incredibly shallow footsie game in the modern era? I mean, props to Shock and James MK2 at all, but yeah, I'm not interested as it stands. However, if you added a dash mechanic and contemporary properties to normal moves, the game would be something to marvel at. Even if the game was unbalanced, the low-tier characters could carry themselves on fundamentals, which is kinda impossible as the game is now. lol Ed Boon looks repulsed the majority of the time. <br/> <br/>Everyone's laughing and goofing off, and he's just sitting there like, "...Eew." lol Ed Boon looks repulsed the majority of the time. Everyone's laughing and goofing off, and he's just sitting there like, "...Eew." a Mortal Kombat II Directors Cut would be EPIC! <br/> <br/>and HELL YES we still want the HD Kollection! a Mortal Kombat II Directors Cut would be EPIC! and HELL YES we still want the HD Kollection! <div class="forumQuote"><b>ShingoEX Wrote:</b><br/>As long as they fix everything wrong with MK2.</div> <br/> <br/>Ummm...what was wrong with MK2? I enjoyed everything about MK2. MK2 is the best MK of the saga. The only thing that was missing were the combos. Imagine what it would of been like?! <br/> <br/>Someone had mentioned that the "hidden characters" should be playable with their own specials and fatalities. I say, hellz yeah! Ummm...what was wrong with MK2? I enjoyed everything about MK2. MK2 is the best MK of the saga. The only thing that was missing were the combos. Imagine what it would of been like?! Someone had mentioned that the "hidden characters" should be playable with their own specials and fatalities. I say, hellz yeah! 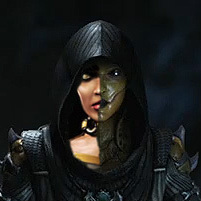 Ideas for a few changes <br/> <br/>Green blood for Reptile, and non-human yells/screams for Reptile and Baraka. <br/> <br/>The ability to select the player two color for every characters. Kitana's silver outfit was so gorgeous, it truly was sad not to be able to select it. No reason they couldn't give the characters various color schemes al la Killer Instinct and Street Fighter. <br/> <br/>Playable bosses/hidden characters, with endings and fatalities of their own. Green blood for Reptile, and non-human yells/screams for Reptile and Baraka. The ability to select the player two color for every characters. Kitana's silver outfit was so gorgeous, it truly was sad not to be able to select it. No reason they couldn't give the characters various color schemes al la Killer Instinct and Street Fighter. Playable bosses/hidden characters, with endings and fatalities of their own. I'm sick of remakes, reboots and HD collections. <br/>Can we please move on! I'm sick of remakes, reboots and HD collections. Can we please move on! I'd really like a rerelease of the arcade version of MK4. That's the only MK game I don't own and I'd love to be able to play it again. Never did play Gold, but I wouldn't mind if they released that instead. From what I've seen the gameplay graphics are superior in the arcade version, but the FMV endings are much better in Gold. <div class="forumQuote"><b>mkdfan Wrote:</b><br/>I'm sick of remakes, reboots and HD collections. <br/><br/>Can we please move on! </div> <br/> <br/>Then go play something else that you're not sick of. Is it that hard? Then go play something else that you're not sick of. Is it that hard? <div class="forumQuote"><b>saiZero Wrote:</b><br/>The cancellation of the HD remake was a huge slap in the face to MK fans. <br/><br/> <br/><br/>If they remake MK2 in HD I expect all hiddens to have their own moves and bio/ending. Itd be nice to see scrapped characters as well and the inclusion of kano and sonya. <br/><br/> <br/><br/>and if id really want my dreams to come true make the background characters (Masked Guard, Shaolin Monk, Shadow Priest) come to life... especially the living forest guy as seen below: <br/><br/> <br/><br/><IMG SRC=" http://blacksaibot.host-ed.me/users/sz/vault2/Fake19_LivingForestGardener.png "> <br/><br/> <br/><br/>....and of course skarlet!!! !</div> <br/> <br/>I'd rather have Lady in Jade's Ending than this Forest guy. I'd rather have Lady in Jade's Ending than this Forest guy. I'm pretty sure that's the last time you'll see Ed Boon on that specific show. It very unprofessional and you could tell he was uncomfortable for most of the time. <br/> <br/>I really hope that he comes through on that MK2 HD some day though. I'm pretty sure that's the last time you'll see Ed Boon on that specific show. It very unprofessional and you could tell he was uncomfortable for most of the time. I really hope that he comes through on that MK2 HD some day though. <div class="forumQuote"><b>blacksaibot Wrote:</b><br/><div class="forumQuote"><b>mkdfan Wrote:</b><br/>I'm sick of remakes, reboots and HD collections. <br/><br/><br/>Can we please move on! </div> <br/><br/> <br/><br/>Then go play something else that you're not sick of. Is it that hard?</div> <br/> <br/>I'm on about the story mainly, I feel like it has barely moved forward since MKA. I'm on about the story mainly, I feel like it has barely moved forward since MKA. Whaaaaat? MKA was a big step backwards lol... maybe not in a timeline sense but quality wise. Roundhouse traps completely ruined MK2, especially with Reptile. He can lock most players down almost completely. Throw a force ball and block while ducking, if the opponent blocks, he takes chip damage. If he jumps, roundhouse him into the forceball, then HP, HP, acid spit. If they teleport, you'll be blocking, and that will set them up for punishment. The "duck" factors in if you're facing Kung Lao, allowing a quick uppercut if he teleports.